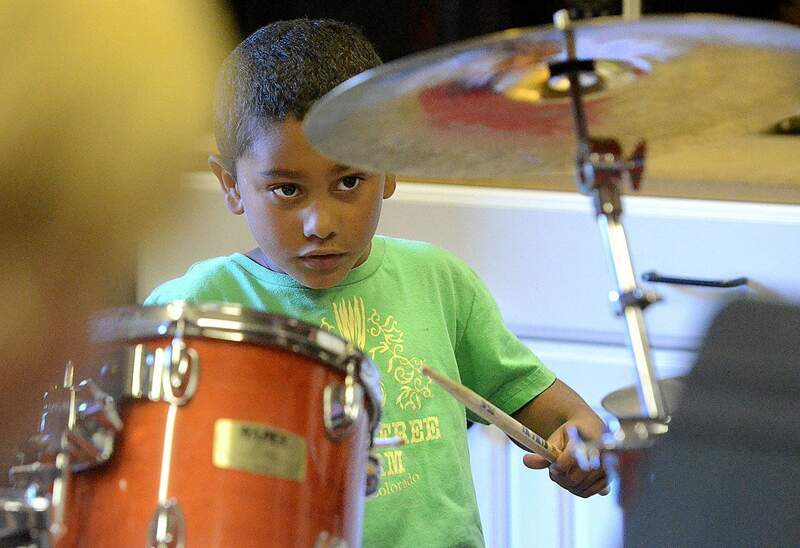 Zach Harrison, 7, son of Rachel and Jay Harrison, is one of the many youths who have taken music lessons at the Stillwater Foundation. One again I write this column celebrating the abundance we have here in Durango considering the wealth of educational opportunities at our fingertips for growth, learning and development. If we look around, we find teachers, lecturers, mentors and resources to further our minds, bodies and spirits as we explore our interests, motivations and needs in life. One of the foremost opportunities that come to mind for expanding one’s horizon here locally is the renowned Life-Long Learning lecture series, organized by Fort Lewis College’s Office of the President and the Professional Associates, which hosts free presentations on a wide range of subjects. The series is designed to enrich the intellectual lives at the college and in the community, continuing to bridge the gap between the Durango community and that on the campus of Fort Lewis College. San Juan Citizen’s Alliance’s Green Business Roundtable series also introduces the public to new and inspirational ideas and programs by bringing out-of-area specialists and professionals to the Strater to speak on a range of topics regarding environment, business and community. If you are a professional looking to expand your skill-sets, look to the Chamber of Commerce for trainings and workshops, the Durango Public Library or the Small Business Development Center. If you want to begin or expand your talents in music, visit the iAM MUSIC Institute or the Stillwater Foundation, both groups providing instruction for all ages and skill levels. Maybe you are yearning to get to know your body better with improved movement and spatial cognition? Just stop by the Smiley Building to explore a plethora of practitioners or just the large poster board where a multitude of offerings hang. And, of course, if you are interested in visual and performing arts, look no further than DAC. Like most educational institutions, DAC is in full swing with educational programming this fall for all ages, exploring the mind, body and spirit. We are excited to offer some of our traditional annual offerings such as The Saturday Series, performing arts education for adults, running Saturdays in October and November and addressing such skills as auditioning, acting, theatre and performance 101, improv comedy and scene design. Our Adult Art Workshop series offers adults opportunities to explore their creativity, such as in the upcoming “Unleash Your Muse” mixed media and creative collage course with Barb Horn, held on Mondays from 6 to 7:30 p.m. beginning November 9 and running through December 7. Also returning for the fall semester are our arts leadership camps for middle school and high school girls and boys. “BART” (Boys Art Camp) for ages 11 to 16 will explore drawing and cartooning to increase skill and technical ability using line and form in space, with an emphasis on composition, proportion and lighting. G.O.A.L. (Girls Opportunities through Art Leadership) celebrates its 13th year using the visual arts curriculum as a framework for adolescent girls to address issues of building relationships, personal identity, goal-setting, problem-solving and independent thinking, while nurturing creativity and leadership. These camps are highly successful and widely enjoyed by students and parents. As always, DAC continues to offer our After School Art program to support arts programming in our local schools and to cultivate children’s individual creativity through visual arts, writing and drama. Here at DAC, we see and emphasize the arts as a universal language essential to the development of creative thinking, self-expression and problem-solving. To us, the arts strengthen self-confidence, aesthetic awareness, sensitivity and the ability for better self-understanding. They teach honesty, kindness, compassion, respect, responsibility and what it means to be human. So if you are a human interested in bettering yourself, begin with art at DAC and continue down the path of learning opportunities here in Durango.